Gone are the days of picking up photos at your local photo shop or drug store only to find out that so many potentially great pictures are useless due to improper lighting or poor composition. If only there was a way to fix those precious photos before they were printed. Produce Professional Photos Thanks to InPixio Photo Editor anyone can now produce professional looking photos that you can share on social media or send as postcards to family and friends. 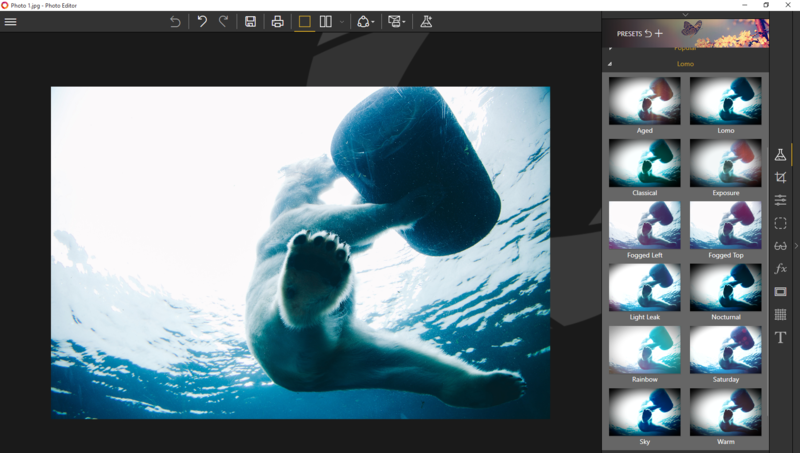 The free photo editor download from InPixio lets you add a wide range of impressive effects quickly and easily. Choose from a number of designs and frames to showcase the theme of your photos. Change Focus and Size of Photos The Cut and Crop feature of the InPixio free photo editor allows non-professionals to easily change both the focus and size of your photos. This an extremely useful feature when uploading your pictures to social media sites, sending them via email to family and friends, as well as preparing them for personal postcards. Fix Dull Or Overly Bright Photos Photos taken outdoors on an overcast day or in extreme sunshine can lose their intended appeal and end up not being suitable to share with others. The Photo Editing feature can easily turn a photo that looks dull or overly bright into one that will pop by allowing you to change the color and brightness of your picture. Enhance Your Photos Easily The free photo editing software provided by InPixio will make you feel like a pro. No need to discard or delete photos that you are not happy with how they turned out. Photos are precious memories of our lives, they depict moments that were special in some way so before deleting those special events and people, fix and enhance them with InPixio's easy to use photo editing software. Begin creating pictures that will be enjoyed and cherished by family and friends for generations to come. Create Professional Snapshots.